We’re wrapping up another productive year here at Just Food! Over the past months and years, our small team, joined by hundreds of volunteers and community supporters, have managed to make great strides for all our projects. In the last five years we’ve increased the number of community gardens across Ottawa from 39 to 99 in 2018, and they’re still growing! As part of the Canada 150 celebrations along with Ottawa 2017, Just Food developed and delivered 15 separate agri-tours and events across rural Ottawa. In 2017 we undertook a major renovation of the barn at the Just Food Farm, creating a permanent office and large, accessible community meeting, event and training space (available for your businesses, government teams, non-profits and school groups to use as of Spring 2019). A new solar shed was also installed to support renewable energy on site. In 2018 Just Food developed and delivered a commercial-ready food-processing course that will help new food and farm start-ups meet the demand for local food. 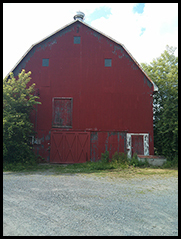 In 2018 we also opened our freshly renovated Red Barn in Blackburn Hamlet and hosted numerous community meetings and events, including a popular Repair Café and the Agroecology Field School Research Summit. This fall, the Savour Ottawa project launched the newest Ottawa Buy Local Food webguide along with a first mobile app. Throughout, we have continued our work on food policy at the local, provincial and national levels, and in 2019 will continue working with other municipalities across Canada on policies that we can implement at a municipal level to increase access to good food. We are excited to share these new and ongoing projects with you as we work to a build vibrant, just and sustainable food and farming systems for everyone. Into the next year, we’ll continue our innovative Start-Up Farm Program with another cohort of new farmers. Preparing the land, repairing the infrastructure and equipment, providing new farmer training – the Start up Farm program has many critical built-in costs, and doesn’t receive public funding, like other post-secondary programs. Just Food subsidizes a portion of the program fee, as recovering all of these costs in fees from the start-up farmers would make the program inaccessible to many. In the last two years we have developed our Community Food Forest, planting hundreds of trees and perennial plants, with more on the way. In order to better serve as a community education tool, we need to fund identification signs and pathways. The New Roots Garden continues to grow, offering space for New Canadian and refugee families to access land to better meet household fresh food needs and to grow culturally relevant food. These plots are offered at no charge to the families for the first few years, as families settle into their new lives in Canada. We have a few more programs starting up in 2019, including new agri-tours, food hub, and commons gardening project, that you’ll hear about shortly through the Just Food newsletter and social media. ….from participating in events, following our work in the community and online, and donating to help support everything we do – has made it possible for Just Food to thrive. As we head into winter, we hope to be able to count on your support. By donating $25, $50 or $100 you can help ensure that Just Food’s projects (Start-up Farm, New Roots, Education programming, Food Policy changes, Food Forest, etc) continue in 2019. You can also spread your donations to Just Food out over the year by becoming a monthly donor. Setting up a monthly automatic donation helps us plan for the year ahead and is easy to do. We remain grateful to people throughout the region who together have donated thousands of hours of volunteer time, working collaboratively to create more just food systems. 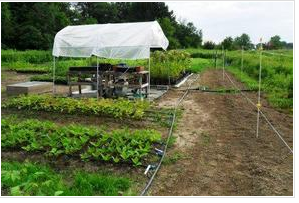 Previous PostPrevious Deadline Extended for Start-Up Farm Program to Dec 3! Next PostNext How To Start a Community Garden: Jan 13, Feb 6, and Feb 20, 2019!